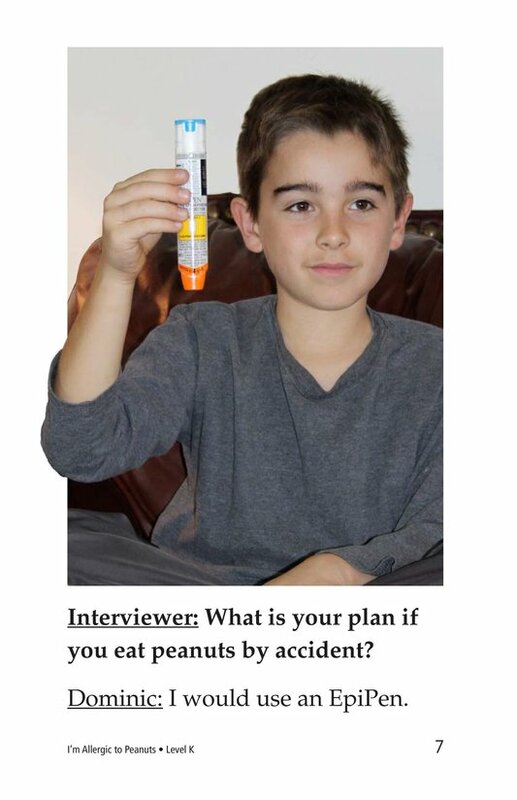 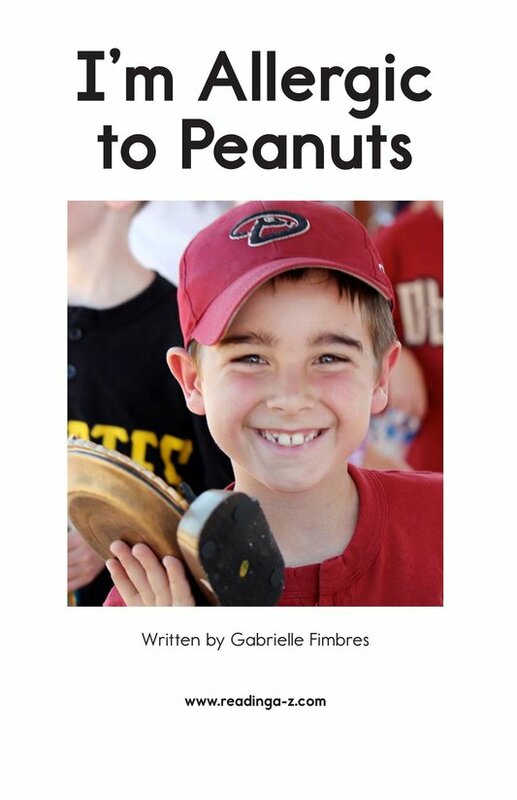 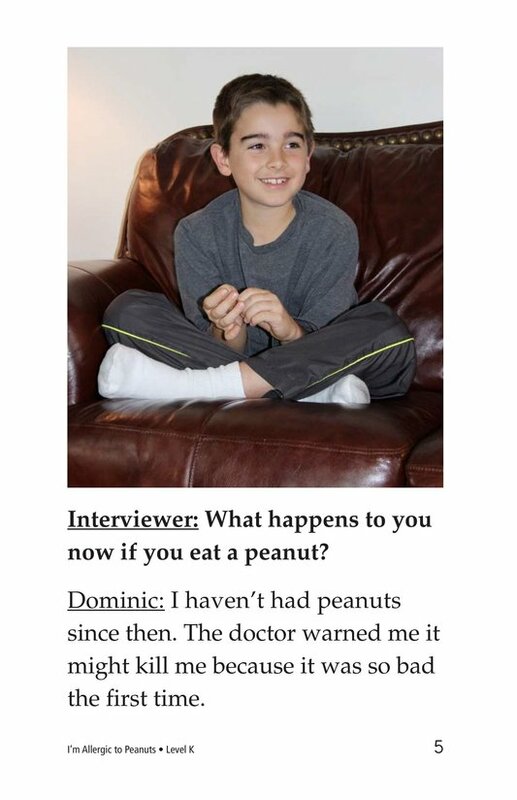 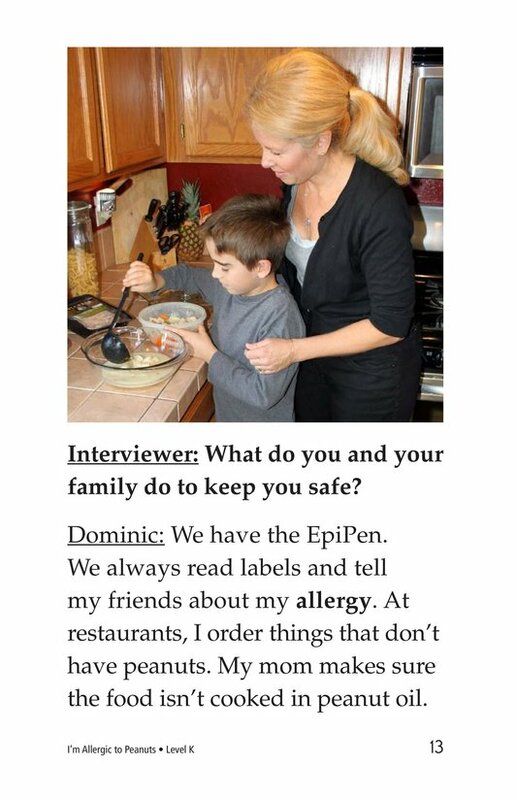 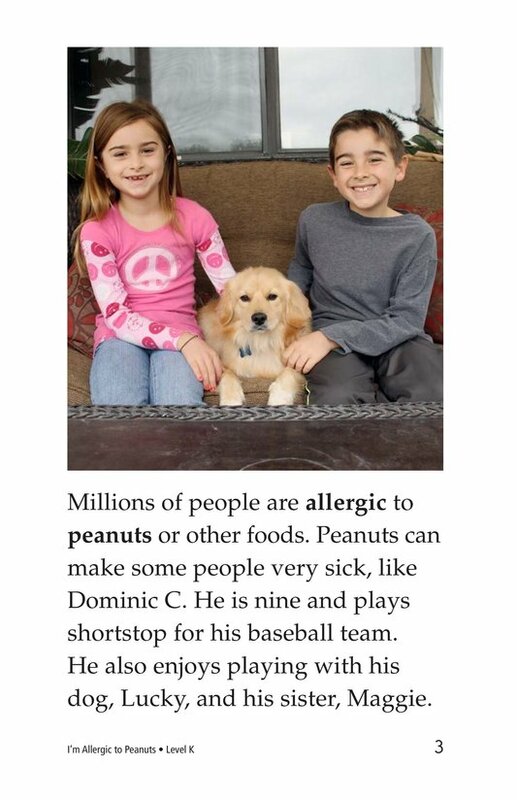 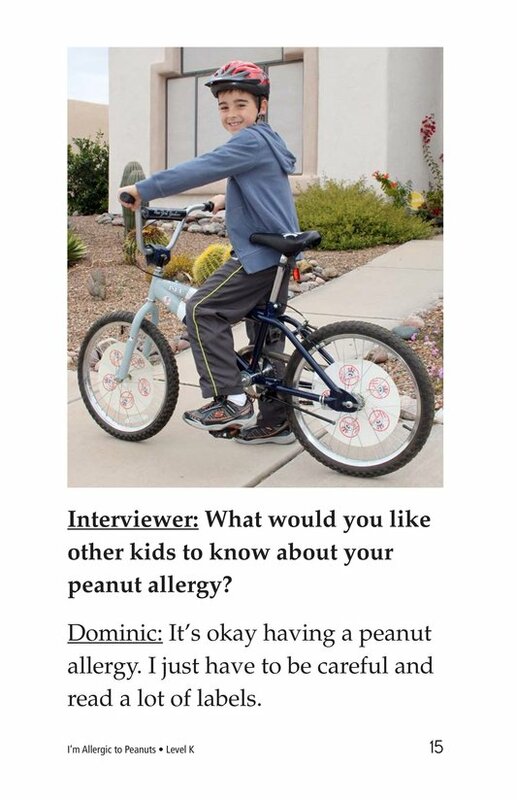 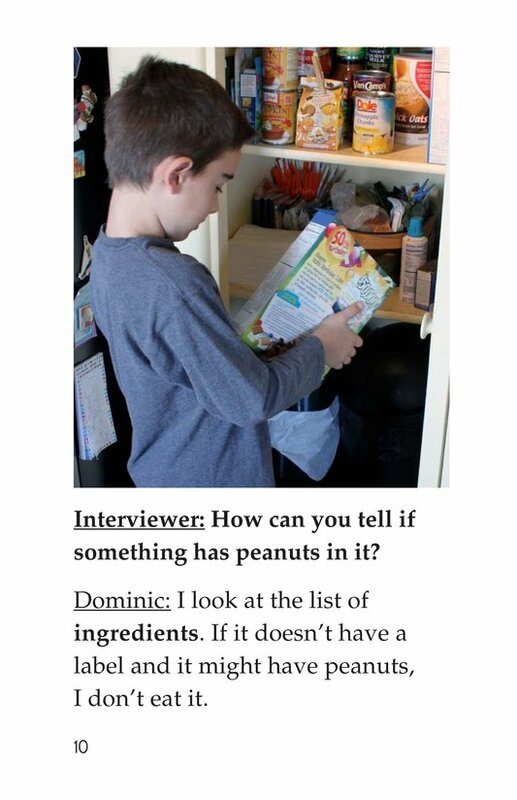 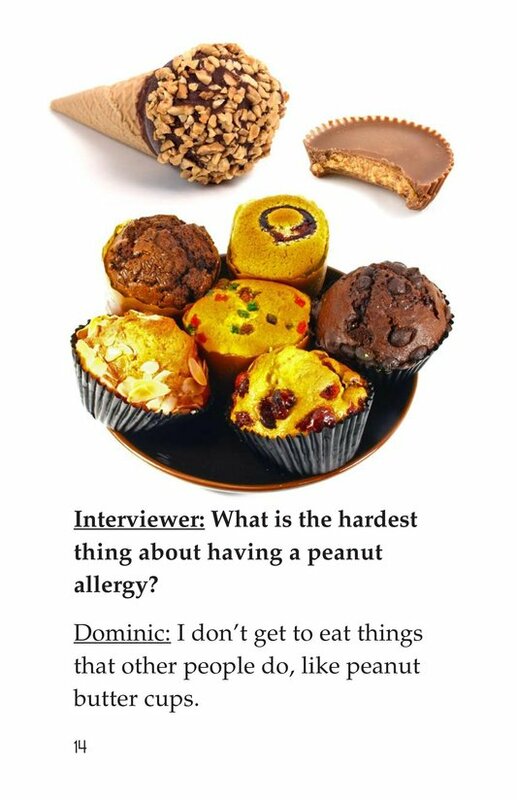 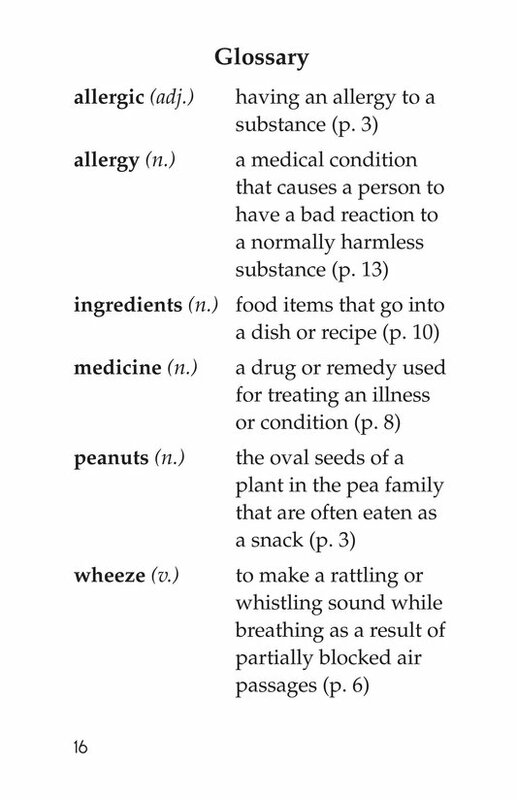 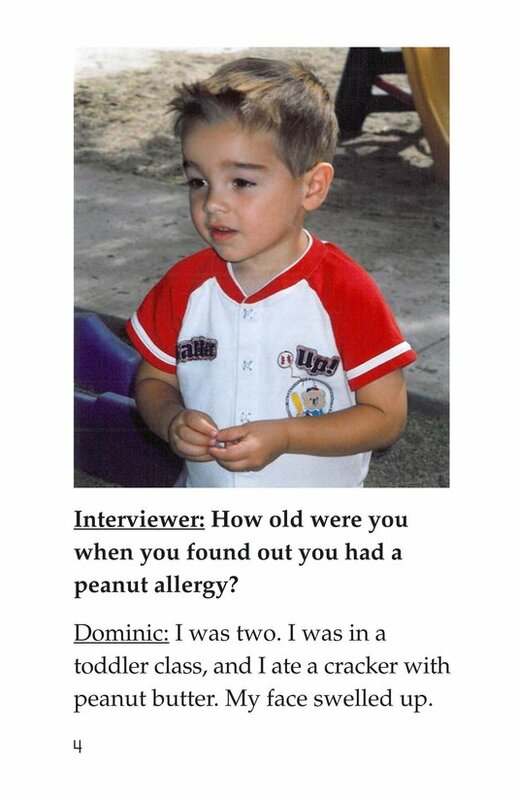 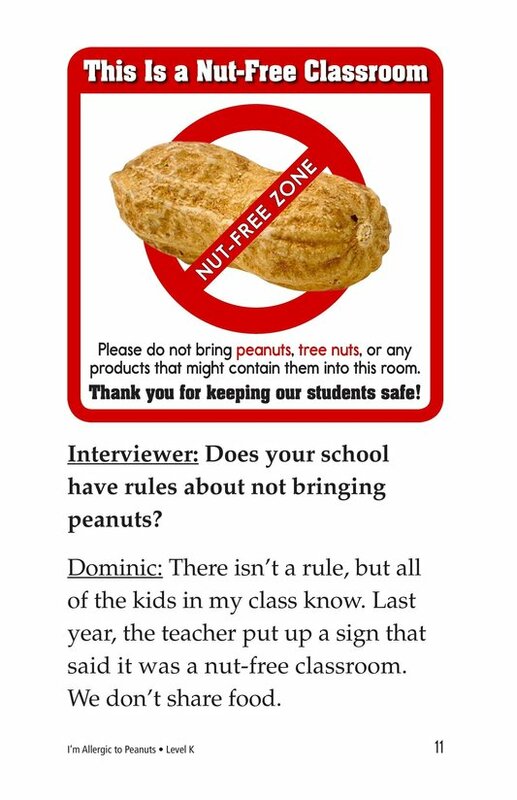 I'm Allergic to Peanuts introduces students to Dominic, a young boy with a peanut allergy. 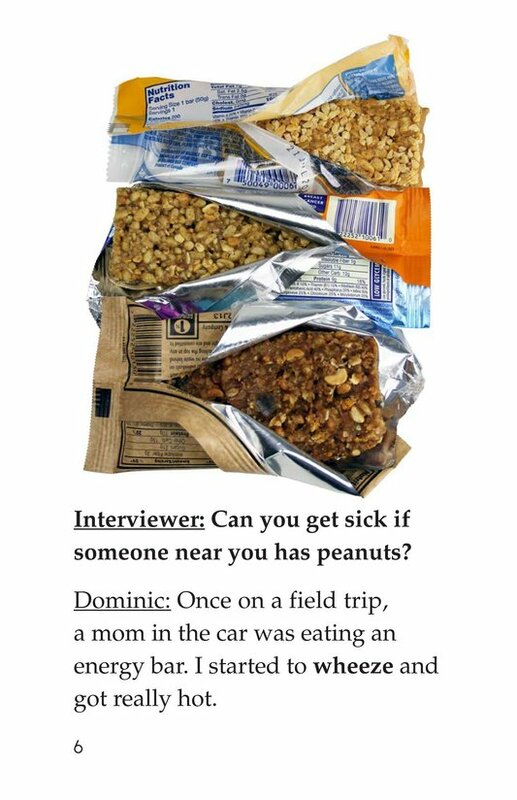 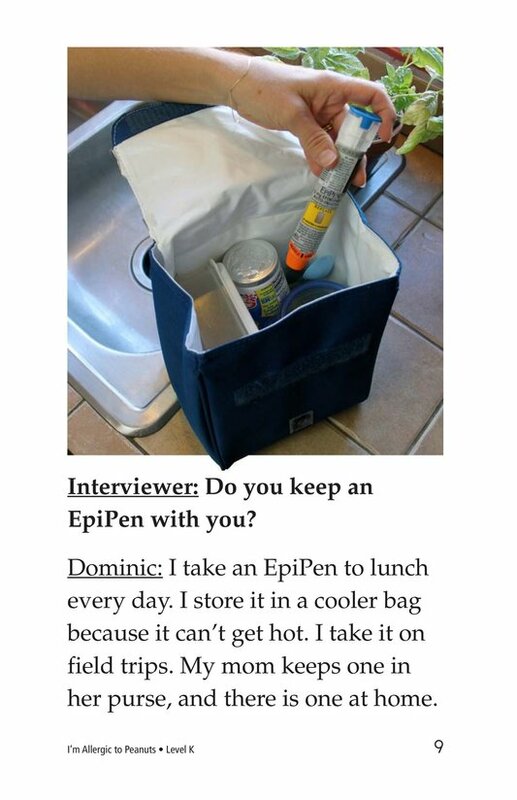 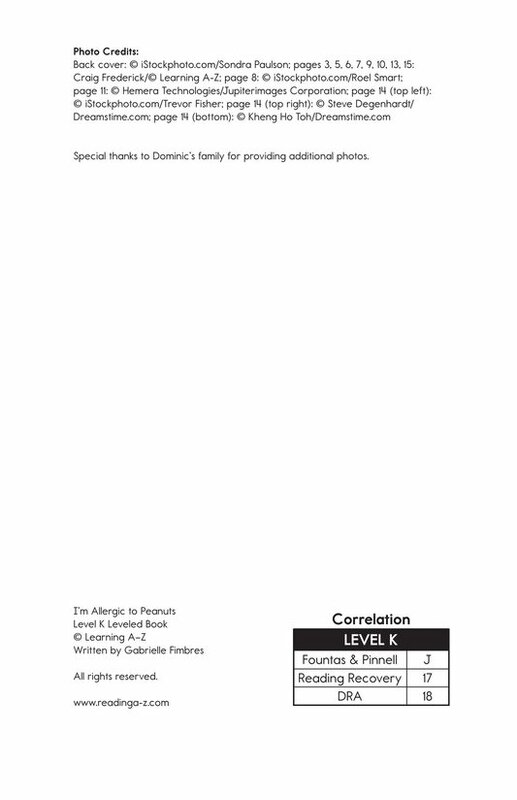 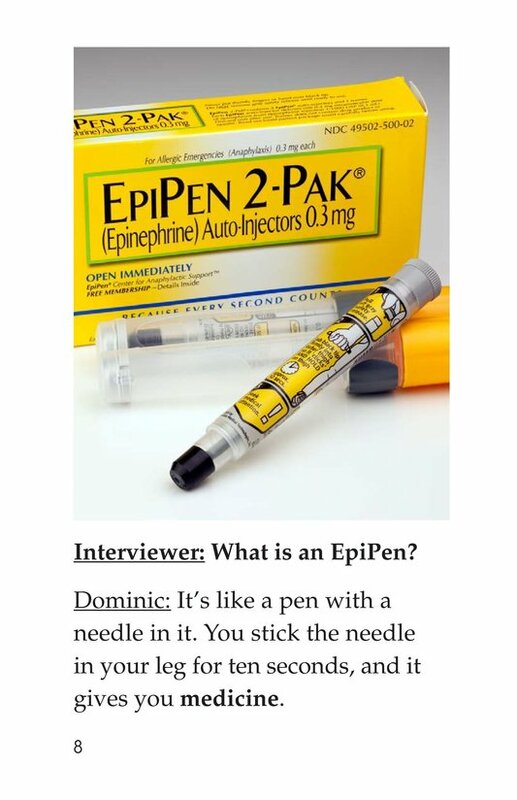 The book uses an interview format to share Dominic's feelings. 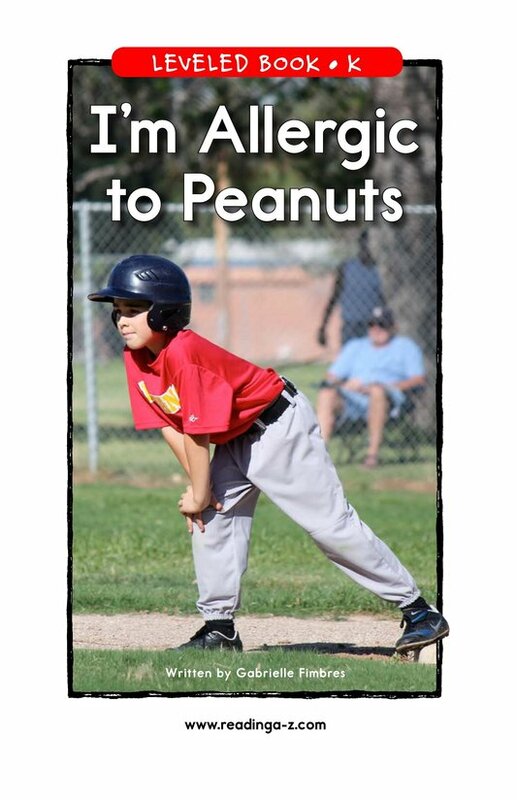 He talks about how his life is altered by the special needs of an allergy, emergency steps he can take, and how his allergy affects other people. 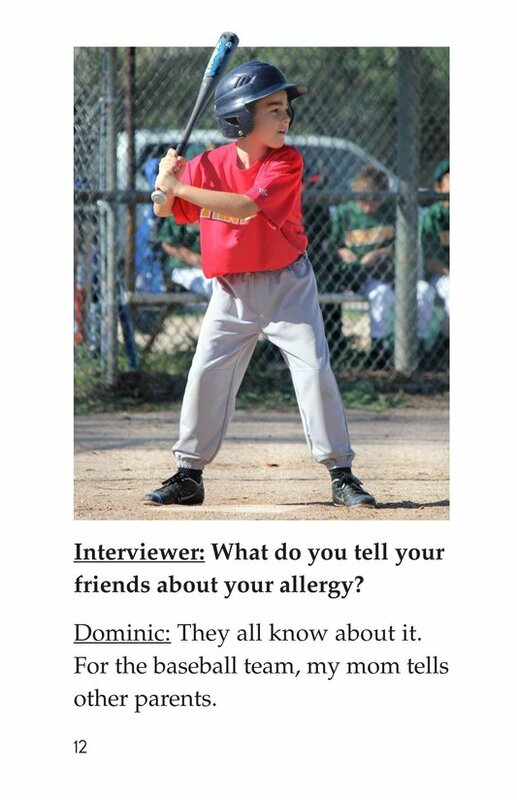 Photographs of Dominic and his family accompany his honest responses.